In August, I published an article at SOFREP.com which detailed the heroic actions of a woman in Barg-i-Matal District, Nuristan Province, Afghanistan. Uzra, a mother of a young child, lived in a village named Pachigram in northern Barg-i-Matal District. On August 1, 2014 Pachigram came under a massive attack by insurgents. Members of Uzra’s family were killed. What Uzra did as the attackers bore down on her home is a story of unsurpassed courage and heroism. I chronicled her story on August 25th. That article is below. You can find the original, posted at SOFREP.com, here. Buried beneath the wall-to-wall coverage of the war in Gaza, the simmering conflict in Eastern Ukraine, the plight of Yezidis beset upon by the barbaric hordes of ISIS, the ebola outbreak in Africa, and the media’s insistence on ignoring the war in Afghanistan was an important (and yet largely unrecognized) event this past month in remote eastern Nuristan Province. 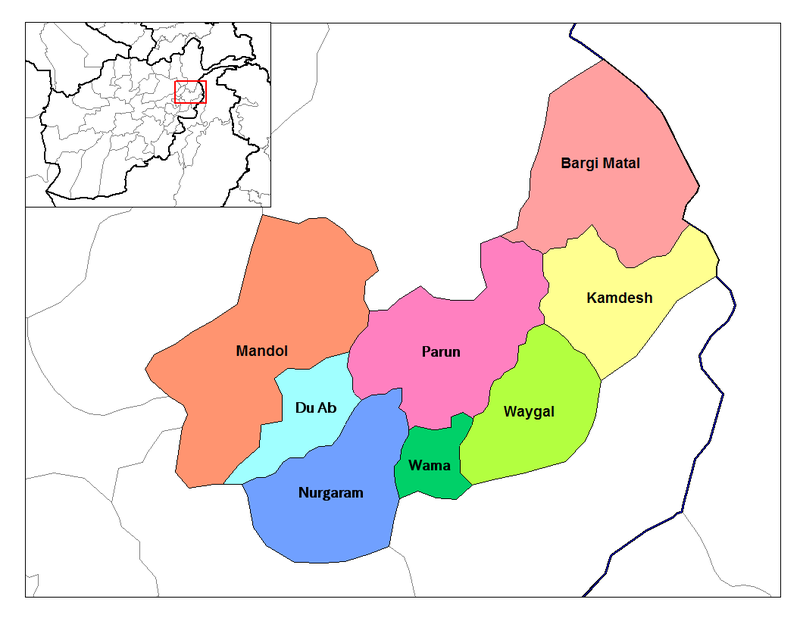 On August 1, insurgents conducted a massive attack on Barg-i-Matal District in Nuristan Province, Afghanistan. Spread throughout the far-flung district, hundreds of insurgent fighters attacked Afghan National Security Force (ANSF) outposts, targeted and killed innocent civilians, and burned entire villages to the ground. Some reports state that as many as 1,000 enemy fighters descended upon Barg-i-Matal, sweeping through multiple villages and killing scores. ANSF personnel, reinforced by other national security elements, fought back and a protracted, days-long campaign by insurgent forces was beaten back. News of the attacks was slow to trickle through to Western media sources. However, among those with the first reports of the fighting in the restive, remote eastern province was Bilal Sarwary, an Afghan who reports for BBC News. On August 2, Sarwary began to Tweet out reports detailing the size of the insurgent force, the ongoing fighting, and the insurgents’ subsequent burning down of the village. In particular, Sarwary’s Tweets turned out to be the public’s first exposure to the curious and inspiring story of a heroic young Nuristani woman who took up arms to defend her family and her village in the northernmost valley of the district. The districts of Nuristan Province, Afghanistan. Nuristan Province is a secluded and insurgent-saturated area of eastern Afghanistan that has become known throughout most of the last decade for its high profile, massing insurgent attacks on villages such as Kamdesh, Wanat, and Barg-i-Matal. You can find my primer on Nuristan Province here. With extraordinarily scenic mountain ranges, some peaks reaching as high as 20,000 feet, Nuristan’s beauty is matched equally by the ferocity of its terrain. A seemingly endless series of near-vertical slopes surrounding deep valleys create a foreboding and challenging environment within which to conduct any military operation. Elements of the 10th Mountain Division, 173rd Airborne, 1st Infantry Division, 101st Airborne, and 4th Infantry Division rotated into and out of the area from 2006 until 2010 when conventional Army forces finally withdrew from the region as battlespace owners. Buttressing The Durand Line, Barg-i-Matal district is an extraordinarily difficult area in which to conduct military operations. The value of the high ground is accentuated like nowhere else in Afghanistan – the insurgent routes connecting enemy groups in Pakistan with their forward elements in Nuristan scar the ridgelines and facilitate the movement of supplies and fighters into the Katigal valley. The valley is bisected by the Katigal River, flowing southward from the Nuristan-Badakhshan border to Kamdesh District. In the northernmost portion of Barg-i-Matal is a valley which flows southwesterly from the Katigal river toward southwestern Badakshan. This valley hides the village hamlet of Pichigram, where 300 insurgents descended on August 1. Though more detailed accounts of the attack are still trickling into Western media, what has been established about the actions of a single woman in the village, Uzra, are as remarkable as they are astounding. Set upon with massive fire, scores off Nuristani civilians were killed as insurgent fighters pushed into the village. Among those killed in the initial barrage was a member of Uzra’s family. As bullets flew and grenades exploded, Uzra picked up a weapon. Protecting her three-year-old daughter, Uzra moved to a concealed position and began to return fire. For upwards of two hours, Uzra continued to engage the men attacking her village. One after another, she captured insurgent fighters in her sights and began picking them off with shot after shot. First one. Then another. Then yet another. Reports initially stated that Uzra had killed upwards of seven insurgent fighters. Confirmed reports, publicly substantiated by the provincial governor and police chief, state that Uzra killed four insurgent fighters before her position was overrun. Uzra and her three-year-old daughter were shot and killed. In the wake of the battle, insurgents again attacked the district, burning another village to the ground the following day. What has continued to galvanize the attention of Afghans both inside and outside of Nuristan Province, however, is the story of a single woman defending her child and her village. In Afghanistan, Uzra has become a symbol of resistance. Barg-i-Matal has been the site of multiple high-profile U.S. military battles, the most notable of which was Operation Mountain Fire in the summer of 2009. Augmented by a number of other assets, a small element of 1-32 Infantry Battalion of the Army’s 10th Mountain Division fought enemy forces (numbering as high as 200 fighters in many engagements) and committed large amounts of resources to development of the district center, the training of a local police force, and the establishment of a semi-permanent ANSF outpost that would serve to burgeon the nascent security landscape of the remote and isolated district. 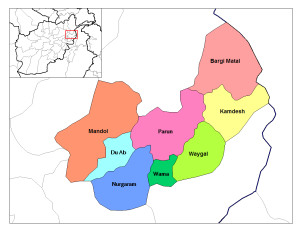 Since 2009, insurgent forces have continued to conduct mass attacks on the district since 2009, often raiding the district center and the villages of Awlagul, Shudgul, Badmuk, Bachancha, Loluk, Semigram, and Pachigram in search of supplies and resources by which to support their efforts to overthrow the provincial government headquarters in Parun, Du Ab District. Navigating the terrain proved difficult for U.S. military forces and, aside from a handful of raids, no U.S. military unit has owned battlespace in Eastern Nuristan since both 1-32 IN and 3-71 Cavalry Squadron of the 4th Infantry Division pulled back from the area following the battles in Barg-i-Matal and Kamdesh in 2009. It is in this context that we can truly place a value on the still growing legend of Uzra and her stand against tyrants attacking her village. Nuristanis are famously ferocious fighters. Nuristani women have often been at the forefront of efforts to defend villages from outside attack. However, in the case of Uzra’s stand we find a unique and compelling story of heroism. Could a national uprising, coalescing around the courageous stand of a woman avenging the death of a family member and protecting her child, be the blowback against the insurgency and catalyze a national movement to beat back a resurgent Taliban movement? Time will tell.